Innokin Prism T18E is an exquisite atomizer with 2ml capacity. The Prism T18E adopts easy top filling design and no spill-coil swap system, which offers better vaping experience. With pre-installed 1.5ohm Japanese Organic Cotton coil, the Prism T18E tank brings delicious flavor. It’s a good choice for mouth to lung inhale vapers. Made of high quality stainless steel and Pyrex glass, the Innokin Prism T18E is a TPD compliant tank with max 2ml e-liquid capacity. The Prism T18E tank adopts easy top filling design, no spill-coil swap system and 1.5ohm Japanese organic cotton, which brings enjoyable vaping experience beyond your expectation. The Prism T18E atomizer is a top selection if you are a mouth to lung vapor or a new starter switching from smoking. It works perfectly with most mods on the market. 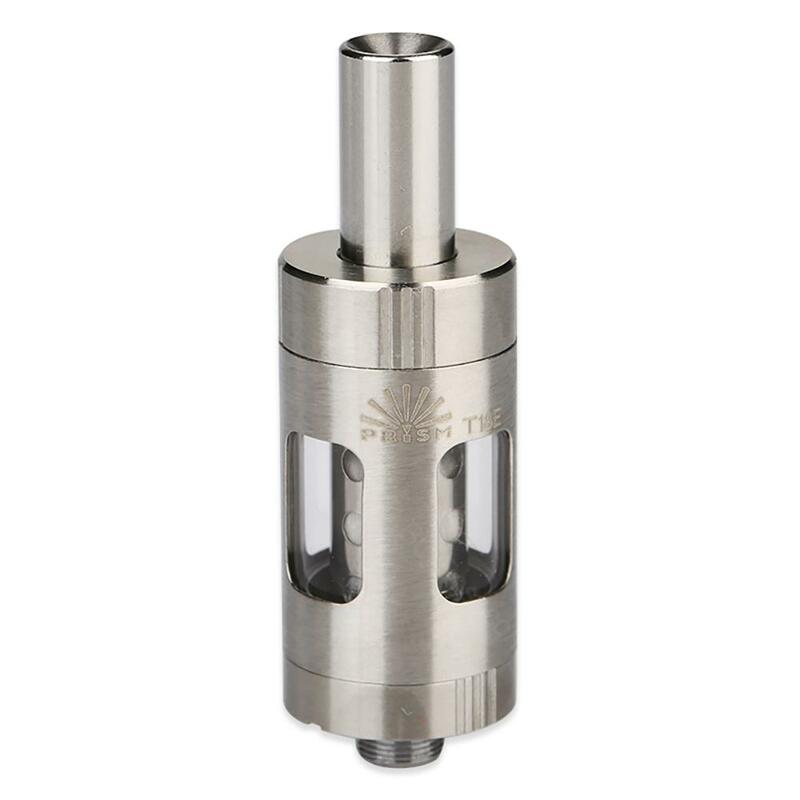 Innokin Prism T18E Tank Atomizer is very easy to use and tastes good, I really recommend it. Innokin Prism T18E ist einfach zu bedienen. Es gibt eine sehr gründliche Anweisung in der Menge, und es deckt alles, was Sie brauchen, um mit der elektrischön Zigarette beginnen.